Hi, first post on here so go gentle in me please! I've got a 997 c2s which I would like to upgrade slightly to further improve the driving experience. Was looking to buy a gt3 but they are a big step up in cash from what I've got & struggling to justify additional outlay. I like the alcantara steering wheel etc of the gt3 plus the bucket seats. Anyone recommend where I can obtain these from near Northampton? What costs are involved with buckets & alcantara? I've a grey interior & want something tasteful that looks stock. I've done a gundo hack. There are loads of mods you can do to the car to change the way it drives and feels but which ones you pick will depend upon the feel you want. Changing the cats or adding a 82mm throttle body and plenum will fee up some power, or if you want it more focused have a look at suspension mods such as the dsc module / lowering or maybe semi solid engine mounts. Have a search through the forum as there are few differnt options for the ss kit Alex Yates does the Ebay kit but he has made solid bushes for it or you can get an OEM one such as the 997 one or the gt3 one but they all have differnt throws so have a look back some old threads in the search function to see which suits you best. For your interior again have a look through old threads as you might want to change your steering wheel when you see the different ones that can be fitted, if i the one you want and have it retrimmed in alcantara. 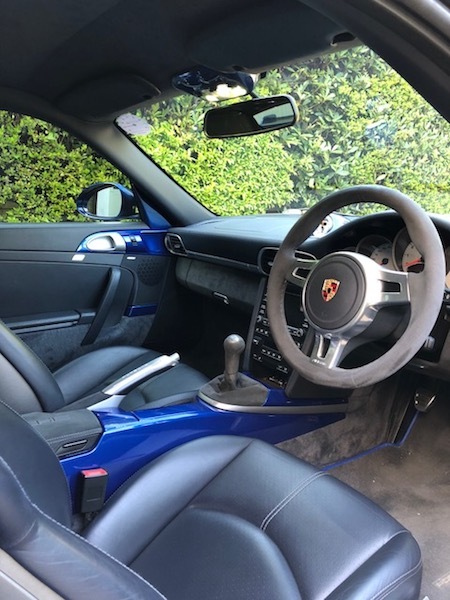 options for alcantara steering wheel are get youe existing wheel retrimmed the two guys reccomended on here ar Royal steering wheels or DesignLS . both will do a great job and can also make the wheel thicker or flat bottomed etc. other option is to upgrade to OE alcantara wheel options would be to buy a gen1 sports wheel but you would need a gen1 round airbag so unless you really want to stay stock its not the best option , or buy a 997 gen2 alcantara wheel again you will need a round gen2 airbag and if its a tip you will also need a new steering control module. this option will cost you between £800 and £1000 to achieve. the gen2 comes std or sports wheel . decide which you like the look of and we can help direct you to the best options. Linas at DesignLS could also alcantara your existing seat centres unless you want buckets , gear knob handbreak etc. have a look on design911 for replica buckets. seriously consider colourcoding the centre console to your body colour best guys for that are wicked coatings in Poole they also do a soft touch finish similar to the OE feel so you have options to just refurm your console or colour code it and either have soft touch or high gloss. , but also bodyshops local can do std paint . external you need to consider lowering springs and spacers to give it a more GT stance. these a guy down my way selling a genuine aerokit rear spoiler, if you want the gt3 look its not the cheapest thing but it will complete the look and finding used OE is not easy. engine , first thing get a BMC sports air filter and the silicon hose induction mod its a must first mod. we can chat later about engine mounts throttlebodies remaps etc. You do realise "them's fighting words"? You can do plenty to make it stop, go, corner, accelerate and feel better. And then you can do plenty more to make it look better, lower, seatier, stancier, aero-ier (?) .... each of which will come with it's own thread, debate, argument and cost. Posted: Tue Sep 25, 2018 4:07 pm Post subject: Grey bucket seats? Anyone know if grey bucket seats are available? I've been looking at some available from another forum member which I really like but they are black (as almost all of them appear to be). Anyone got one for sale?! Cheapo SSK kit from ebay is a great great thing to do. If you are going to keep it, then go mad, but if not, bear in mind that you won't get back the cost of mods when you sell, and a lot of people will want a stock standard car. Don't get to halfords on us!!! Ok, I give up! What the hell is the latest damn acronym SSK? Put SSK kit in ebay and you get plumbing kits, do you really want to fit a sink in a 911? Nice thread by the way - I'll be keeping an eye on things. funny but your not the first to ask that and I am sure wont be the last reminds me of the first time a mate txt me and put LOL at the end I was "what a mate saying to me Lots of love"
[quote=I've done a gundo hack. Have done all the above and happy about it . Quick update. Not done any mods on car as yet as I've got it up for sale. If unsuccessful I shall keep it and start some light mods in the new year. I've researched bucket seats and found Design 911 don't do suitable seats in grey. Anyone point me towards some suitable bucket seats in light grey please? The seats and short shift kit have transformed the feel of driving the car. 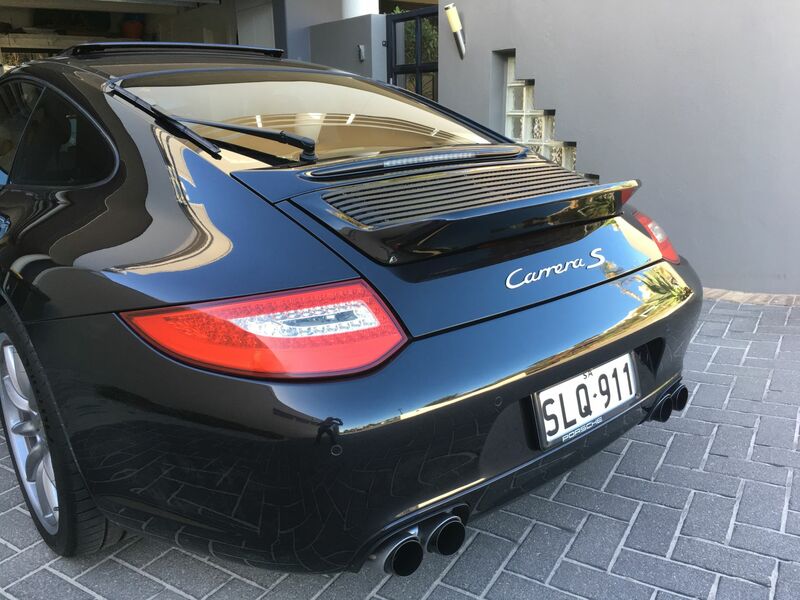 Now thinking about adding a ducktail spoiler and black Fuchs alloys plus five grey wrap as a homage to the 997 sport classic. Anyone point me to where I can obtain a spoiler and wheels please? The OEM ducktail is super expensive but there are quite a few aftermarket ones around depending on what you want, MarkC4S fitted the Moshammer one that just replaces the pop up spoiler, not cheap but a neat solution!